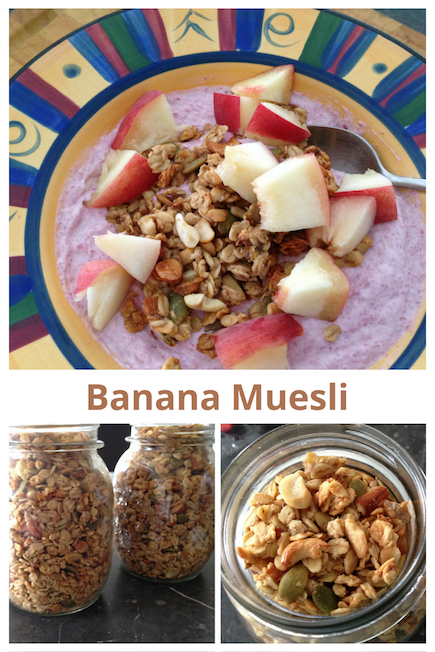 This banana muesli recipe is inspired by one that I came across on Instagram quite a while ago. It made me immediately stop scrolling and look more closely, because bananas – yum, and muesli – yum. So the idea of putting them together just sounded so good. Of course I’ve adapted this recipe to suit my taste, (as I imagine you may well do too). I love bananas and I usually add them freshly sliced to my brekkie bowls, but this takes the muesli component to a whole new level. The ingredients are not really that different from my ‘regular’ muesli. This just has a subtle banana flavour that makes it taste out of this world! 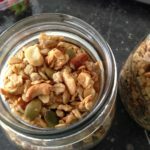 And it’s actually a little bit quicker and easier to make than my REGULAR TOASTED MUESLI, as there’s no need to melt the coconut oil. I use maple syrup, but you could also use honey or rice malt syrup. And I recommend that you use your own favourite nut combo – mine is usually walnuts and cashews. 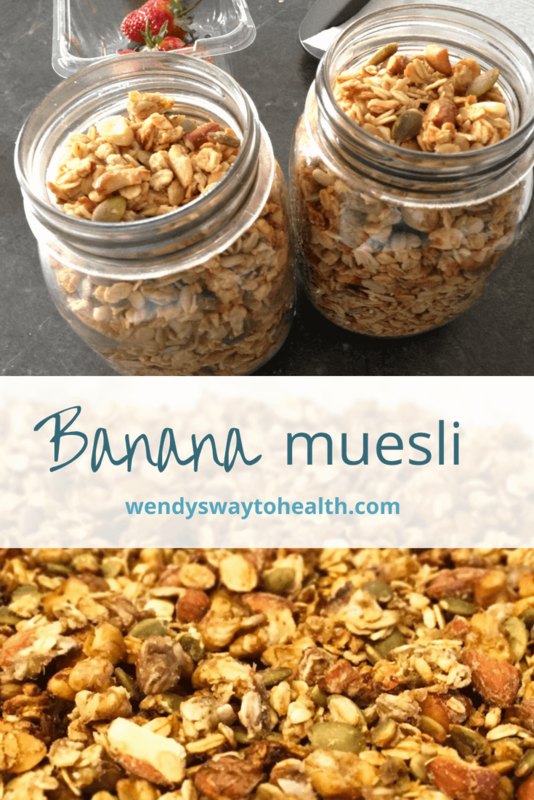 This banana muesli is so yummy, you’ll probably eat it straight from the jar, as I often do! 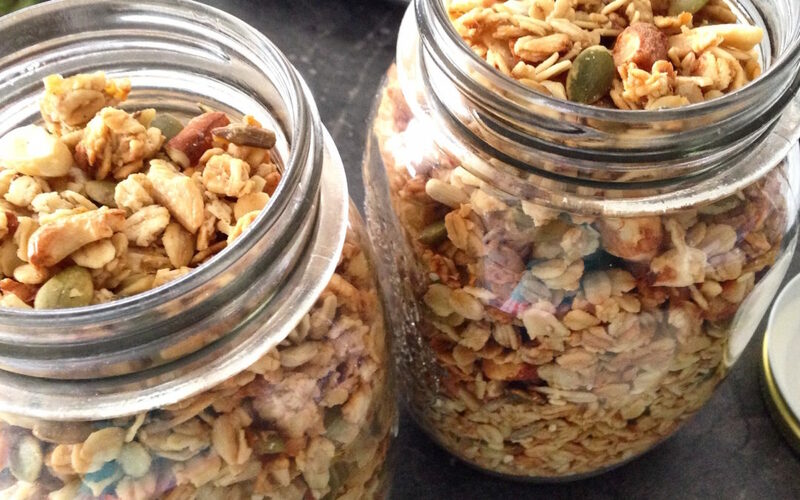 So why not keep one jar at home and take a smaller one to work with you for healthy snacking? 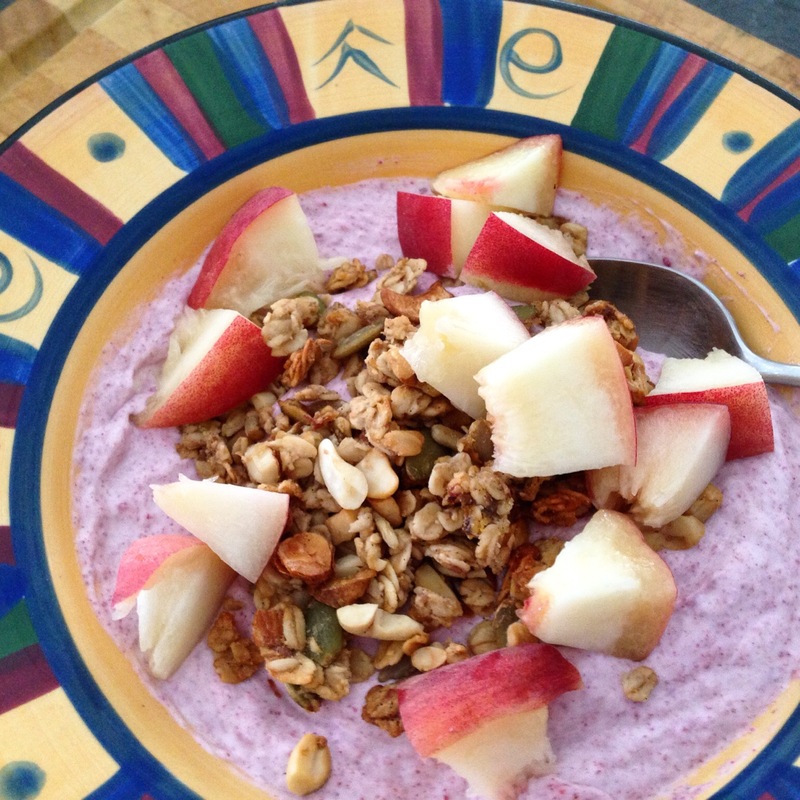 Just add plain Greek yoghurt for a quick, healthy breakfast. 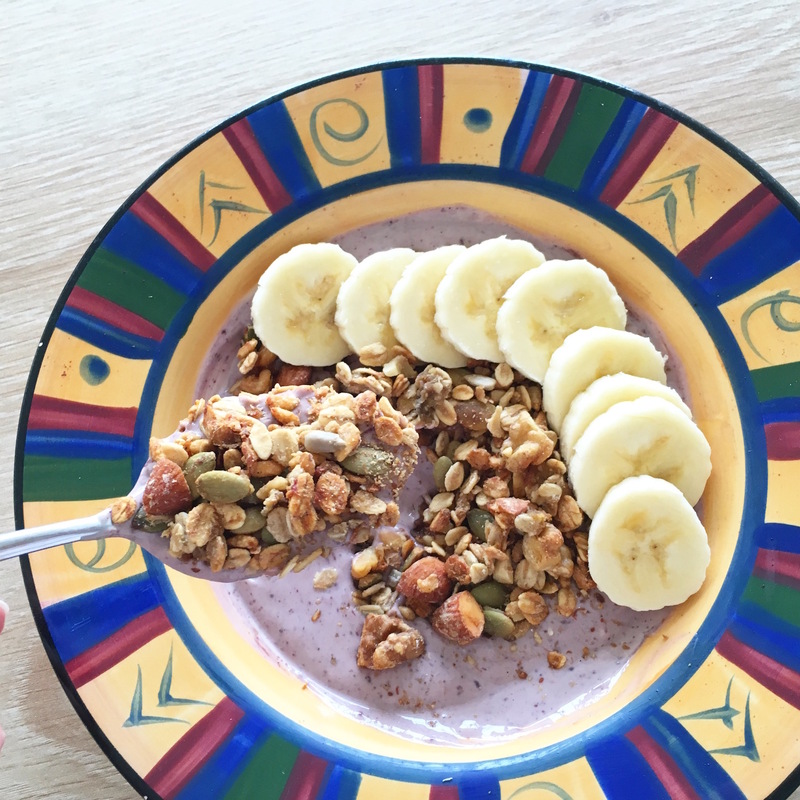 There’s not much else to say about this muesli recipe, other than if you like bananas, give it a try and let me know what you think. 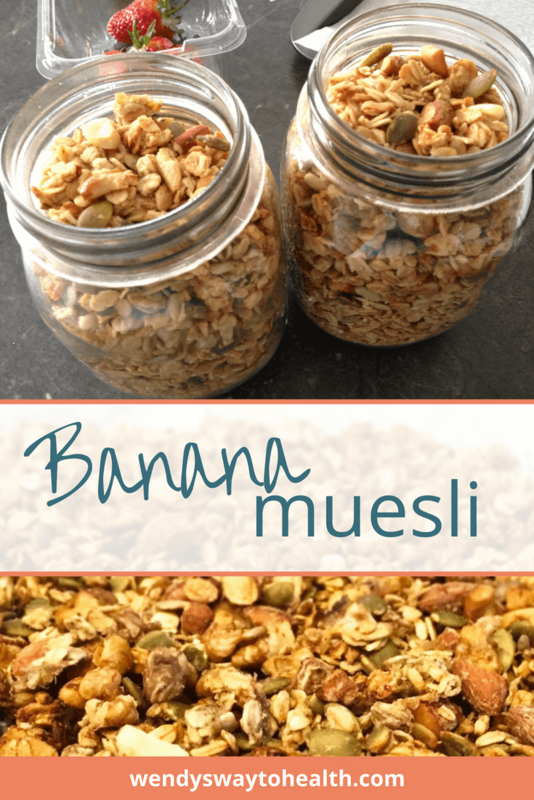 Try this banana muesli for a delicious and healthy twist on regular toasted muesli. Preheat oven to 150-160℃ and line a baking tray with baking paper. In a large bowl, combine the oats, nuts, seeds, salt and vanilla and set aside. Mix the coconut oil, maple syrup and mashed bananas until well combined and smooth. Add the wet ingredients to the dry and mix together with your hands. Spread the mixture evenly on the baking tray and bake for approximately 20-30 minutes, depending on your oven. Keep checking and turning as the muesli cooks to make sure it doesn't burn. Remove from the oven when it's a golden brown colour throughout, and allow to cool. 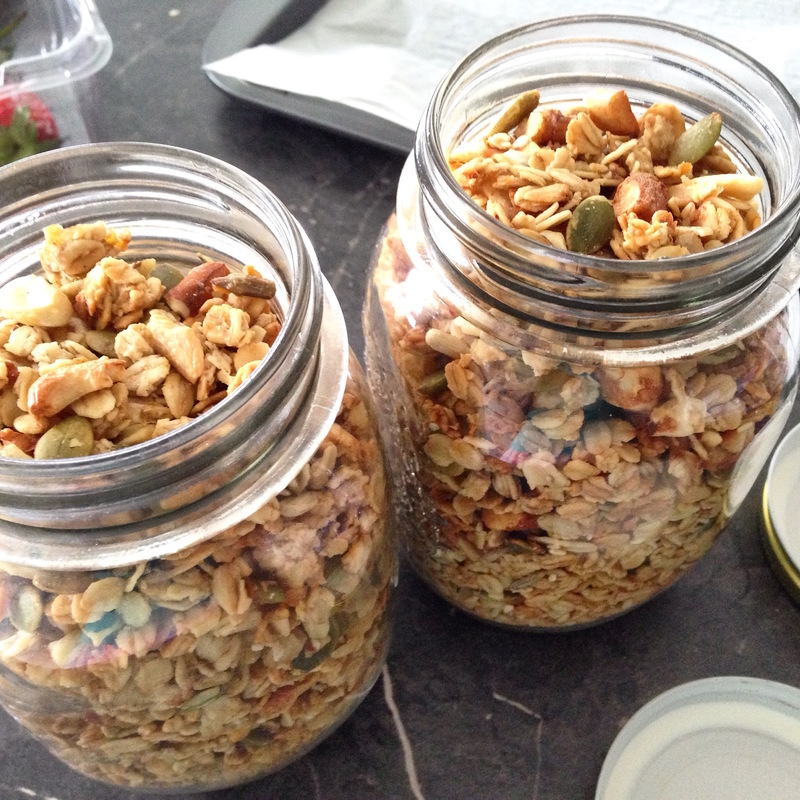 The oven temperature needs to be fairly low, so the muesli will cook evenly without burning. Take the tray out of the oven every 5-10 minutes and turn the mixture to make sure that it's all cooked through.